Who doesn’t love a good mystery? 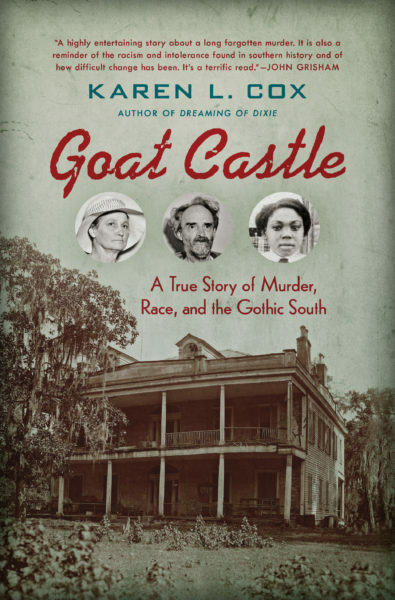 Goat Castle: A True Story of Murder, Race, and the Gothic South (University of North Carolina Press), has it all: Murder, a dowager of fading “Southern aristocracy,” two eccentrics living with goats in a decaying mansion, conspiracy, racism and injustice. Award-winning UNC Charlotte historian Karen L. Cox provides a definitive look in Goat Castle of a 1932 murder in Natchez, MS, in which, according to Cox, only an innocent bystander ever was brought to justice. Cox, founding director of the UNC Charlotte graduate public history program, will discuss the true crime and the complicated relationship between race and the law in the post-Civil War South at a Personally Speaking talk on Feb. 19, 2019, at UNC Charlotte Center City. A reception and book signing will follow the event, which is free and open to the public. Click here for more information and to register. Cox is the author of two previous books and numerous essays and articles on the subject of southern history and culture. Her first book, Dixie’s Daughters: The United Daughters of the Confederacy and the Preservation of Confederate Culture, won the Southern Association for Women Historians’ 2004 Julia Cherry Spruill Prize for the Best Book in Southern Women’s History. She also is the editor of Destination Dixie: Tourism and Southern History which won the 2013 Allen G. Noble Book Award for the best edited collection in North American material culture from the Pioneer America Society. She is an OAH (Organization of American Historians) Distinguished Professor. She authored the blog Pop South: Reflections on the South in Popular Culture where she wrote over 100 essays about representations of the region and its people in popular media. Cox has written op-eds for The New York Times, The Washington Post, CNN, TIME magazine, Publishers Weekly, and the Huffington Post. Her expertise on the American South has led to interviews with the Los Angeles Times, Newsweek, The Daily Beast, Mic, The Atlantic, the Wall Street Journal, Slate (France), the Atlanta Journal-Constitution, the Houston Chronicle, and The Charlotte Observer, as well as international newspapers in Germany, Denmark, Ireland, and Japan. She has also appeared on BBC Newshour, Black Politics Today, The Mike Smerconish Show (Sirius XM), C-SPAN, Canadian Public Broadcasting, Minnesota Public Radio, Georgia Public Radio, and Charlotte Talks. 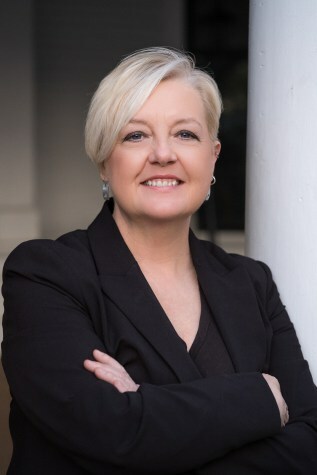 Cox received her bachelor’s and master’s degrees in history from the University of North Carolina at Greensboro, and her doctoral degree from the University of Southern Mississippi.